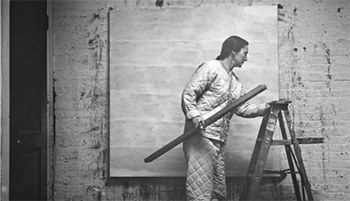 In 2012, The Agnes Martin Catalogue Raisonné LLC (AMCR), a non-profit entity, was formed for the purpose of compiling the catalogue raisonné of Martin’s work. (A catalogue raisonné is a definitive published compilation identifying the known works in existence by a specific artist.) The Martin catalogue is now available online and is periodically updated. This lawsuit was initiated in 2016 by the Mayor Gallery, a UK-based art dealer. The defendants included the AMCR itself, as well as Arnold Glimcher, who is the managing member of the AMCR’s authentication committee; the director of the Agnes Martin Foundation; and the owner of Pace Gallery, which represents the Martin estate. Also named as defendants were the other members of the authentication committee (who have thus far remained anonymous in public court documents) as well as the catalogue’s editor, Tiffany Bell. Prior to AMCR’s formation in 2012, plaintiff had already sold the 13 works at issue to four different collectors. Once AMCR was formed, the collectors each submitted their purchased pieces to AMCR for inclusion in the catalogue raisonné—but after examining the collectors’ submissions, AMCR declined to include them. The collectors turned back to the seller, the Mayor Gallery, for redress; and the Gallery has either already given these buyers a refund, or has promised to do so if it does not prevail in court. As to one of the works, the Gallery itself resubmitted further documentation to the AMCR, seeking to convince the committee to reconsider, to no avail. The AMCR also ignored the plaintiff’s requests to provide the reasons for the committee’s decisions or the steps the committee had followed in reaching its decisions. Plaintiff’s complaint alleged seven causes of action: (1) product disparagement; (2) tortious interference with contract; (3) tortious interference with prospective business relations; (4) negligent misrepresentation; (5) gross negligence and breach of contract; (6) breach of implied duty of good faith and fair (solely with respect to plaintiff’s resubmission of one particular work, Day and Night); and (7) violation of New York’s General Business Law § 349. The plaintiff sought more than $7 million in damages (the total amount of the original sale prices of the works at issue), as well as injunctive relief requiring the defendants to provide detailed reasons for their decisions or enjoining them from engaging in the purportedly deceptive business practices. The basis of plaintiff’s claims was that the defendants’ refusal to include the works in the catalogue amounted to a declaration that they were fake, which effectively destroyed their market value. The plaintiff challenged, among other things, the fairness of AMCR’s policies and procedures, noting that collectors essentially have “no choice” but to submit their works to the AMCR for vetting, and in order to receive a decision on their submission, collectors must sign an Examination Agreement that includes a waiver of claims against the AMCR. The plaintiff also notes that a collector receives only a cursory acceptance or rejection, with no explanation, and the committee does not answer questions or provide any opportunity to rebut its decision. In an April 5, 2018, ruling, the court granted the defendants’ motion to dismiss the amended complaint in its entirety. See Mayor Gallery Ltd. V. Agnes Martin Catalogue Raisonné LLC et al, Sup. Ct. N.Y. Co. Index No. 655489/2016 (Masley, J.). As a threshold matter, the court threw out some of plaintiff’s claims on the basis of lack of standing; in other words, the court held that the plaintiff had not actually alleged it had been injured in a manner that would support a lawsuit at all. The court reasoned that, as to several of the works, the collectors who had bought the works from the Gallery never actually rescinded their sale contracts with, or received refunds from, the Gallery. The court then further narrowed the remaining claims, by dismissing all claims against the individual defendants (Glimcher, Bell, and the other committee members), because the plaintiff failed to plead that they acted outside of the scope of their employment, or that they were motivated by malice and driven by personal gain rather than the interests of the entity. The court held the Gallery’s allegations in this area were too general, and didn’t provide enough specifics on how the individual defendants participated in the alleged tortious behavior or personally benefited from it. The court also addressed the question of whether the Examination Agreements, which contained a waiver of claims, barred the claims in this lawsuit. The plaintiff had argued the waiver provision was unenforceable, but the court didn’t need to decide that issue, because it instead ruled that, as to most of the works, the plaintiff’s claims were not barred because plaintiff was not actually a party to or an intended beneficiary of the agreements (rather, those agreements were between the collectors and the AMCR). As to the one work that the plaintiff itself had resubmitted, the court held that plaintiff’s claims were deficient for other reasons. Moving on to the merits of the remaining claims, the court first dismissed the product disparagement claim. The court noted that the law is unsettled as to whether a mere refusal to include a work in a catalogue raisonné constitutes a statement published to a third person—a required element of the claim—but ruled that, that even assuming it was a public statement, that statement must be false, and plaintiff had not alleged facts to support its contention that the works are authentic. But the court also rejected the claim on the basis that the plaintiff failed to plead “malice,” an essential element of the claim. Here, the plaintiff merely put forward speculation and unsupported allegations that the defendants had not performed “all tasks necessary and appropriate to determine whether the thirteen artworks were authentic.” This was insufficient, especially where the Examination Agreements signed in connection with the submissions gave AMCR “sole discretion” as to how it reviewed submitted artworks, and did not obligate defendants to provide any information, documentation, explanation, or opportunity for rebuttal in connection with its decision. In dismissing the claim for tortious interference with contract, the court held that the plaintiff failed to plead (in a non-conclusory way) that AMCR intentionally interfered with the Gallery’s sales. Similarly, the claim for tortious interference with prospective business relations could not proceed because the plaintiff did not adequately allege that its relationships with the collectors were harmed, let alone that the defendants harmed the relationships out of malice or through “wrongful means,” which is the standard under New York law. The court dismissed a negligent misrepresentation claim because the plaintiff failed to plead that the defendants knew the plaintiff was relying on incorrect information about the works. And Plaintiff’s fifth claim, alleging gross negligence, was fatally flawed as to most of the works because the defendants owed no duty to the plantiff (who was not a party to the Examination Agreements entered between the collectors and the AMCR). As to the one work for which plaintiff itself had entered into an Examination Agreement directly with the AMCR, the court ruled that the plaintiff had offered only conclusory allegations that the artworks were not properly examined, which was insufficient in light of the fact that the Examination Agreement itself gave AMCR “sole discretion” to examine the works as it saw fit, nor did the plaintiff allege that the AMCR had recklessly disregarded anyone’s rights or engaged in intentional wrongdoing. Plaintiff also alleged a breach of the implied duty of good faith and fair dealing, based on the plaintiff’s Examination Agreement with AMCR concerning the one work the plantiff had resubmitted. But the court held that the Examination Agreement was clear that defendants had no obligation to turn over any information to the plaintiff other than its decision. Finally, the court dismissed the cause of action under New York’s General Business Law § 349, which prohibits deceptive trade practices. The plaintiff failed to plead any of the required elements of this claim, including that it was a consumer, that the defendants were merchants, or that the submission agreements were “materially misleading” (where the agreements made it clear what plaintiff’s limited rights would be). Plaintiff’s GBL claim was dismissed with prejudice; but the court gave the plaintiff permission to amend the complaint, which will give the plaintiff a chance to replead the other claims in an attempt to revive the lawsuit. If the plaintiff doesn’t amend by a court-imposed deadline, the entire suit will be dismissed with prejudice. Significantly, however, the court also ordered the plaintiff to pay the defendants’ legal fees. This was a function of the Examination Agreement the plaintiff signed when it resubmitted one of the works to the committee; by contract, the plaintiff agreed that, if plaintiff made “a legal claim of any kind against AMCR,” plaintiff would be responsible for legal fees, costs, and expenses incurred by AMCR. The court cursorily noted that such provisions are enforceable under New York law, and turned over to a special referee the issue of what amounts would be reasonable here. This case is being hailed as a victory for art experts (including artists’ authentication boards and catalogue raisonné authors) who want to offer opinions about the authenticity of an artwork without fear of being sued. This has been a topic of much discussion in the last decade, as several prominent artists’ foundations have ceased to offer authentication opinions due to the risk of litigation. As our previous posts (see here and here) on this topic note, authenticators serve an important function in the art market, by permitting a certain level of confidence that a work is genuine (a major issue given the ongoing prevalence of forgeries in the market). As another legal commentator has observed, “authentication boards” are a relatively recent phenomenon, but the market has long depended on the existence of at least some trusted experts who can offer evaluations of what is real and what is not. And it’s not surprising that authenticators might be deterred from offering an opinion on a work because it might result in litigation by someone who is dissatisfied with that opinion; such lawsuits have proliferated in recent years, with disgruntled owners filing claims regarding purported works by Motherwell, Calder, Haring, and many others. On the other hand, authenticators’ opinions sometimes have a “black box” quality to them, with the experts’ processes and reasoning remaining opaque, even as their “verdicts” make or break an artwork’s value (particularly in cases involving a formal authentication committee, a catalogue raisonné, or some other opinion that the market treats as essentially definitive); an owner or dealer whose work is rejected may be frustrated by the lack of transparency. (That frustration may also be increased when there is perceived potential for conflict of interest; consider, for example, the difference between an authenticity opinion offered by a disinterested art history scholar, versus one offered by an artist’s foundation which has a vested interest in protecting the market for an artist’s work.) And, in this era of sky-high art prices, the cost-benefit analysis of litigation is sometimes appealing; someone who has invested significant money in an artwork later deemed inauthentic may find it worthwhile to turn to the courts in an attempt to obtain a better answer. It might even be argued that, because the art market is largely self-regulated, litigation (even unsuccessful litigation) serves an important purpose in ensuring that the people who shape that market are acting in good faith. Thus far, proposals for striking a balance between these competing interests through legislation have garnered attention, but have not yet resulted in a concrete solution. This decision represents a move in the right direction for authenticators. The court repeatedly invoked the Examination Agreement, emphasizing that it gives the authenticators broad discretion in connection with the authentication process and makes it clear what a submitting owner can—and cannot—expect of the authenticators. The court’s decision to enforce the Examination Agreement’s fee-shifting provision and have the plaintiff pay legal fees is also important, sending a clear message that someone considering a lawsuit against an authenticator may need to factor in not only his or her own legal expenses, but the defendants’. Furthermore, thanks to the fact that the catalogue raisonné entity was a New York Limited Liability Company, the court also rejected the plaintiff’s attempt to hold the individual members of the authentication committee personally liable for their role in the decisions here; that at least may ensure that scholars are not deterred from working on catalogues raisonées for fear that they will be personally sued for that work. But this story is by no means over. The plaintiff might amend the complaint to try to address some of the flaws pointed out by the court. Or, as one legal commentator has predicted, the plaintiff may appeal to a higher New York state court in an attempt to overturn this judge’s reasoning. Moreover, it's important not to overstate the implications of this case; it does not insulate all authenticators from all litigation or liability going forward. It is a decision by a single trial-level state court, so its binding precedential value is limited. And it does not squarely answer certain legal questions. For example, some of the claims in this case were decided not on the merits, but on threshold issues such as standing. And the court did not rule on certain other key legal questions; for example, the court left for another day the question of whether an omission from a catalogue raisonné is a public statement for purposes of product disparagement, and likewise dodged the question of the enforceability of the Examination Agreement's waiver provisions. Some other plaintiff may be in a better position to test some of these unsettled legal issues in another case. Likewise, the court dismissed claims based on factual deficiencies such as the plaintiff's failure to explain why the works at issue are authentic; the plaintiff's lack of specific factual basis for its allegations that the authenticators here were motivated by malice; and the plaintiff's failure to show that its relationships with its customers had been damaged. But a different plaintiff might be able to advance more compelling facts than the Mayor Gallery had here. In short, this decision has the potential to send an important message to the art market that owners should think carefully about running into court when they are dissatisfied with an authenticator's opinion about an artwork. And the importance of the Examination Agreement to the court's reasoning gives some comfort to authenticators that, with proper drafting of contracts at the outset of an authentication process, they can limit their legal exposure (and, through fee-shifting provisions, they may be able to avoid the financial costs -- if not always the hassle -- of litigation). But the larger questions here -- including how best to protect authenticators who share their expertise, while still allowing healthy conversations about accountability in a self-regulating market -- are far from resolved.